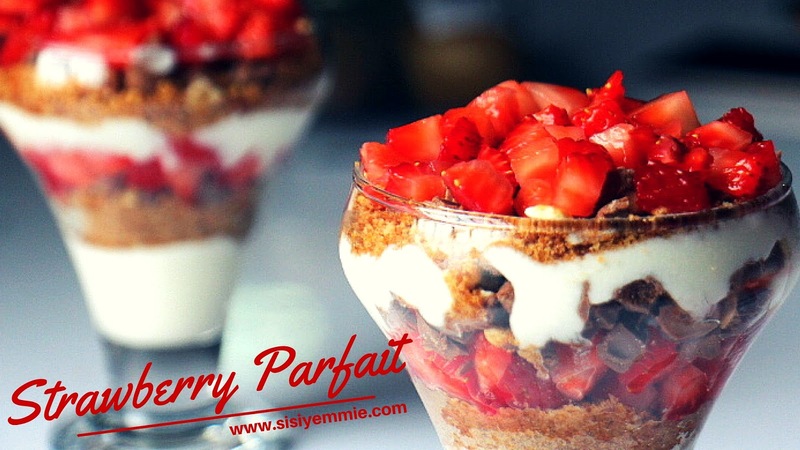 Not every time Eba for breakfast, sometimes try a parfait! LOL. Yes, I'm talking to myself. I love parfaits and I would always purchase them from stores whenever I find them however I was never satisfied. Why buy when you can make your own and use whatever you like, be naughty like me....add chocolates! So here's what you'll need, although you can use basically any fruit you want. In a glass cup, I placed some yoghurt, then added the granola, then the chocolates and topped it with the strawberry. It is THAT easy! Watch the video to see! Don't forget to SUBSCRIBE because it's absolutely FREE! I'm so trying this tomorrow. I love this. Watched it last night and it was refreshing and made me hungry. very simple, would try it soon.